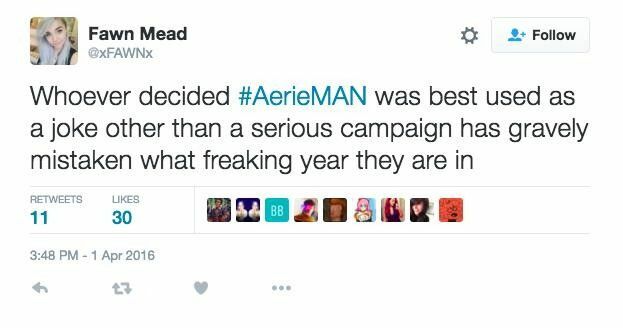 American Eagle released an underwear ad last week introducing #AerieMan...a campaign which was presumably created to include men in the body positivity turn-around fashion has been making for women. 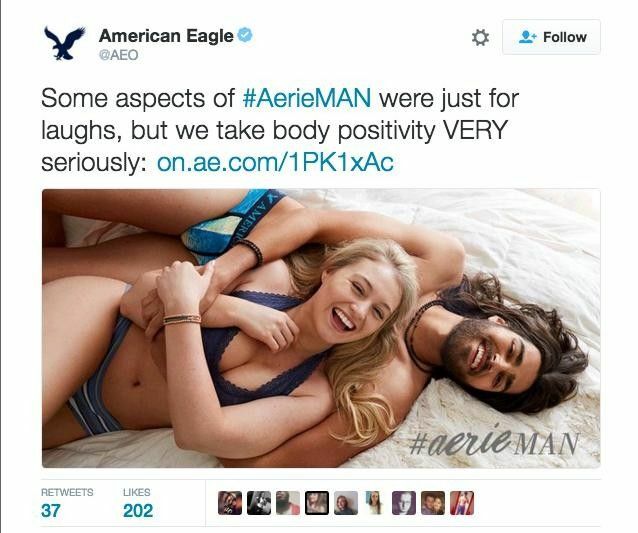 However, as it was announced Friday, American Eagle confirmed the ads were part of an elaborate April Fool's hoax, simply to pomote the company's commitment to not retouching their male models. People were less than thrilled, with the consensus being 1) too soon, 2) too soon, 3) stick with clothes, A.E. ; comedy isn't your thing. Ok, just as long as the guys featured have glass-shard hip bones, right? Cool, bros. Happy April Fool's.